I've been humming that riff as I finished the space captain sculpt. I'm happy with the results. 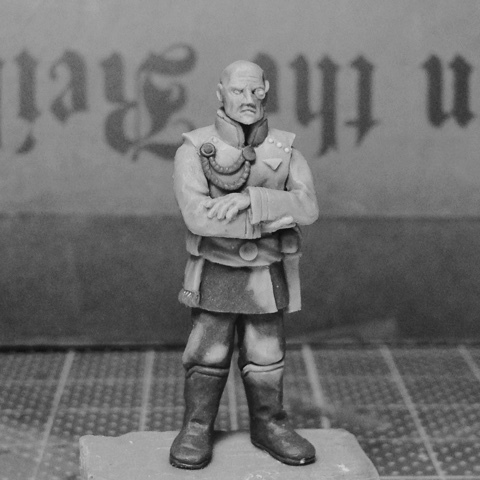 He isn't the most dynamic model but he does have the right stern, commanding feel. 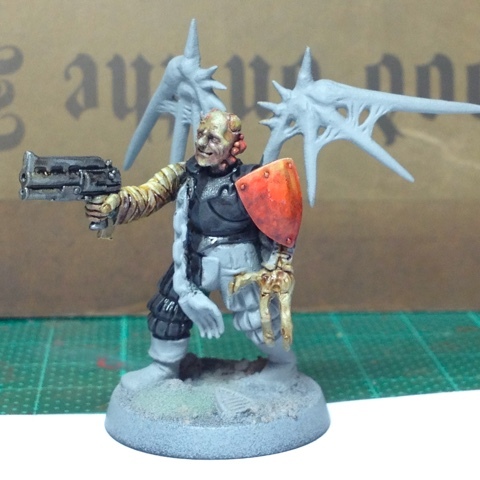 Out of nowhere in the last week I've also been working on another chaos cultist chosen. I couldn't not sculpt some of it, could I? And, as a short break from the sculpting tools, I've started painting it. More pictures as soon as it's done. That naval officer is great! The head on the cultist too. Can not wait to see what you do next. Thanks. Next I'm thinking dynamic punk/post apocalypse/under hive but nothing is set in stone yet. The naval officer is absolutely fantastic! Love the extra detail on him! 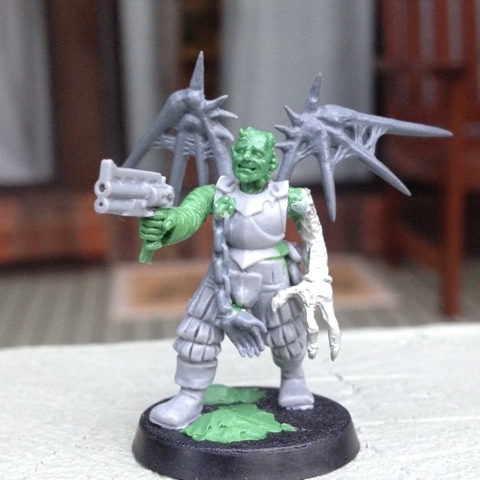 How does he compare to a regular 40k model from a scale perspective? The cultist looks like good fun, although he is slightly too Rogue Trader era-ish for my taste ;) Personally speaking, I think the chain with the hand trophy messes with the model's composition a bit too much. The paintjob's looking promising, though. And where is that pistol from? I could really use some pistols like that!